ROSE, HUGH JAMES - On The Study of The Fathers of The Church. 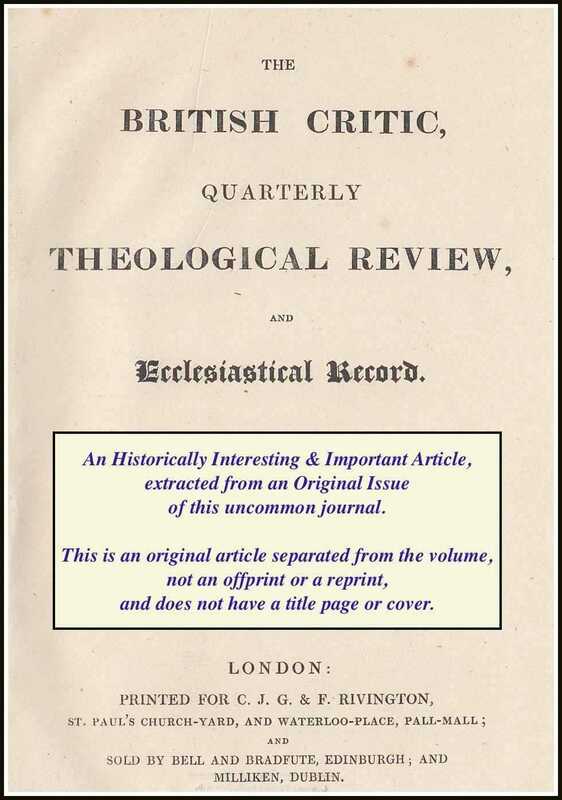 A rare original article from the British Critic, 1831. The British Critic. London, 1831. First Edition, Disbound. Very Good Condition. 49 pages. Note; this is an original article separated from the volume, not a reprint or copy. Size: Octavo (standard book size). 49 pages. Quantity Available: 1. Category: British Critic; Inventory No: 270230.